With the large assortment of cameras on the market, it can be difficult to decide which one is best suited for your traveling needs. Will you be at a sporting event, unable to predict the moment that changes the tide of the game, only to realize your camera’s zoom is too small to get anything but a blurred picture? Will you be in the midst of a natural phenomenon that’s just in front of your eyes, but will only last a second? Unfortunately, your small, compact camera takes too long for the shutter to close, and just like that, the moment is gone. What if you realize a picture just won’t do, but you didn’t bring a video camera? Also check out these daily deals available on Sanyo VPC xacti camcorders. The hard part is realizing that few cameras can do all of these things while still remaining affordable. Smaller, inexpensive cameras are perfect for the photographer that wants something compact, but lag time and picture quality is sacrificed for the smaller model. 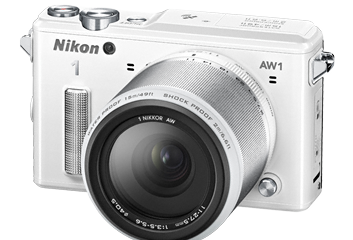 Bigger cameras may offer more options, but the price tag puts it out of many amateur photographers price range. Digital video cameras are now coming out of the wood works with their own inexpensive options, but what if you want to take a snapshot in the midst of your mini-documentary? Do you really want to carry around so many pieces of hardware? Sanyo has taken into account all of your concerns and introduced the new Sanyo VPC xacti dual camera as VPC-CA9EX and VPC-WH1EX specially for the underwater adventurer. 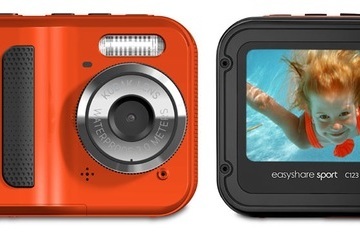 Both models come with a stunning waterproof body, although the former is only able to do so at a shallower depth (about 1.5m). The latter model also comes with an impressive 30x zoom. For those that want to take videos but don’t want to miss snapshots, the camera also allows the user to take photos while recording video. 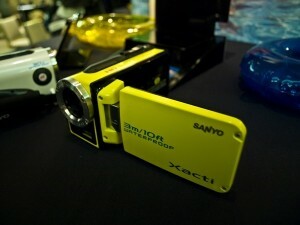 By far, this makes Sanyo VPC the leader in underwater cameras. Sanyo has yet to release a price on this wonderful gadget, but they assure consumers that when released the price tag will be something cheap and affordable. With its diverse features, its sturdy design, and the affordable price, the Sanyo VPC dual range is the ultimate camera for the amateur professional photographer for any occasion.